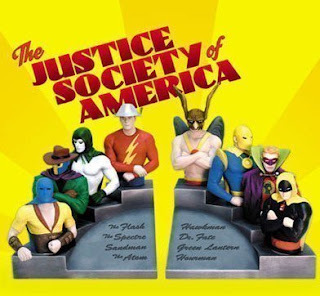 I spent part of my Sunday morning looking over a local comic shop’s statues when I got into a conversation with someone there about bookends. It seems like a perfect display combination. 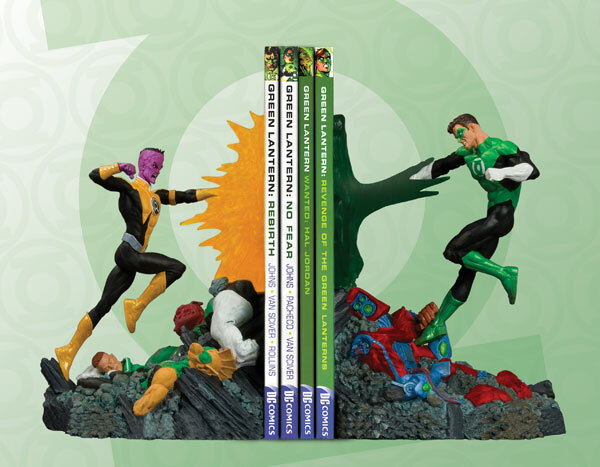 I like having nice versions of my favorite books and I really like a nicely put together statue of my favorite characters. 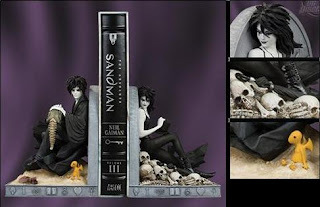 I’ve seen some really nice setups too, especially with all the slip cased hardcover books coming out lately. But as of today I don’t own any bookends and I don’t see that changing. The biggest reason I haven’t jumped into, is I’m way too paranoid. I could just see myself accidentally using too many books or a book that is just too heavy and coming home to a bookend that has be either crushed or launched to the floor. It’s no big deal when your 10 dollar action figure takes a dive off the shelf. When half of a 150 dollar set shatters to pieces it is a whole nother ballgame. I already have to be careful with the Flash's ear wings on his statues and I'm not constantly moving them to get to a book. I do have to admit that I am probably being hypocritical. I haven’t really been tested in my beliefs yet. There are plenty of bookends for Superman and Batman but so far nothing strictly Flash related. Sure you can get the JLA or JSA sets, but that is just like getting a mini-bust collection. They aren't really Flash releated even if he is included. Would a reworking of the Flash of Two Worlds cover be enough to help me get over my fears? They just released the last Starman Omnibus, I’d be pretty tempted if they released bookends for them. Would I buy them though? I honestly have no idea. Even if I did, I’d probably chicken out and only put one or two books between the ends. So has anyone already taken the plunge on the high price bookends? What did you get and more importantly I suppose, do you actually use them?